We can fabricate virtually any configuration including complex internals. Fully Customizable, ASME Code Certified pressure vessels are built per Section VII, DIV I. We can build to any specification per your design requirements and in a timely fashion. BLM Equipment & Manufacturing Co., Inc. can also register pressure vessels with NBBI. They are manufactured in accordance with the American Society of Mechanical Engineers (ASME) pressure vessel code. Our quality control system ensures that your final product has been properly constructed, inspected, and hydrostatic pressure-tested. 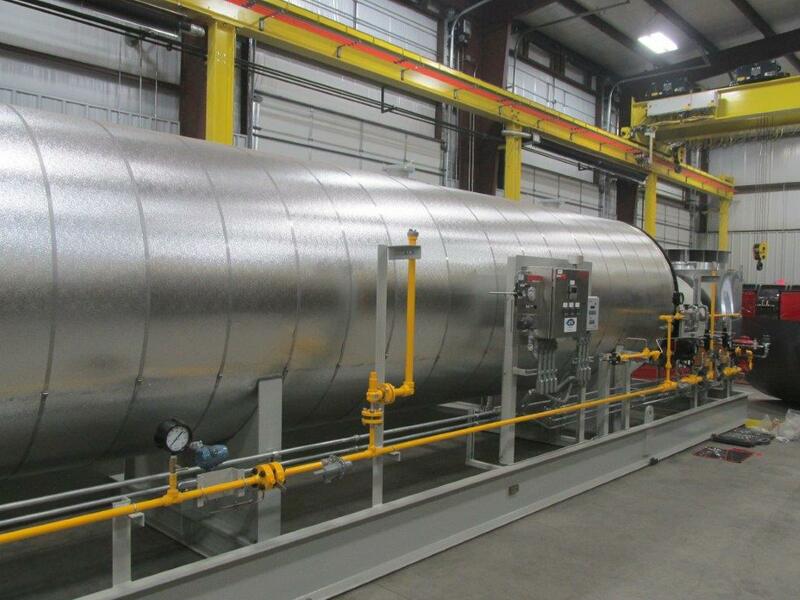 BLM has the ability to manufacture pressure vessels out of both carbon and stainless steel. They can be virtually any design, size or configuration, up to 50,000 lbs in weight. 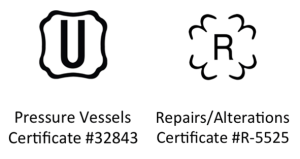 We have extensive experience in fabricating and installing some of the very complex internal components that vessels today require. Some of the industries we serve include oil & gas companies, chemical manufacturers, power generation groups, waste management, and filtration companies.